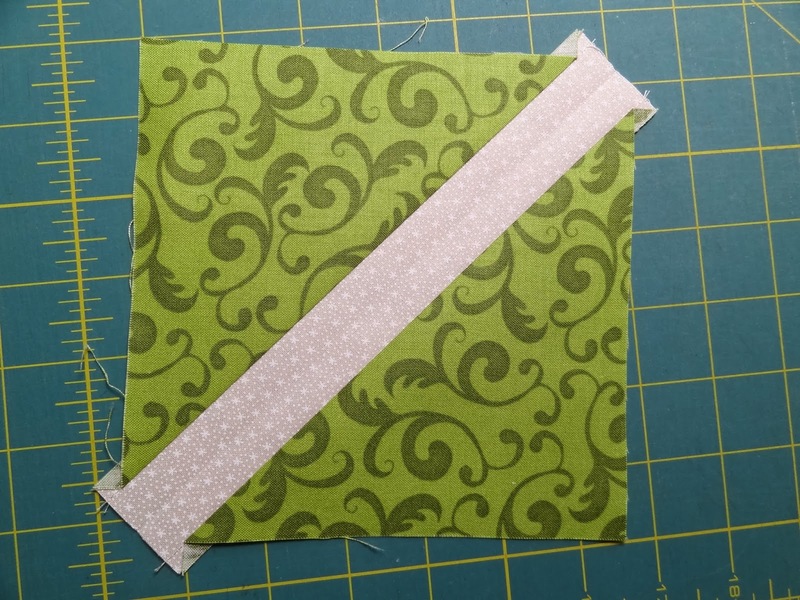 I've had some requests to do a tutorial on the scrap block from my last post. First I have to say that I did not design this block. It comes from a pattern by Ann Weber of The Gingham Girls. I can't tell you how much fun I'm having making them. They go fast and you can make as many or as few as you like from your scrap pile! First find two scraps that are big enough to give you a 6 inch block and an 8 1/2 by 1 1/2 inch strip. I like to make sure I have a light and a dark or medium rather than two lights and two darks. It's your quilt, though, so you can decide what you want! From the larger scrap cut a 6" square. 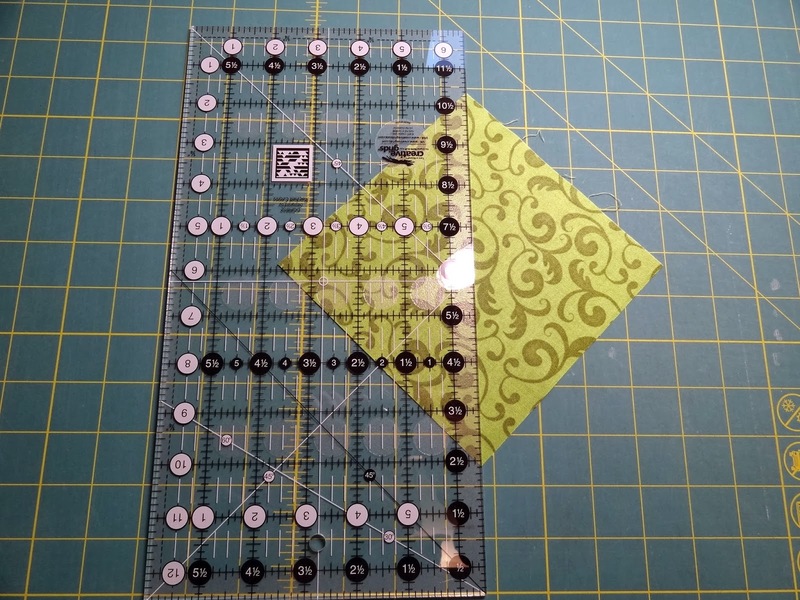 It really helps to have either a 6" or 6 1/2" square ruler with a diagonal line down the middle. You'll figure out why a bit later here. From the smaller square cut a 1 1/2" by 8 1/2" strip. 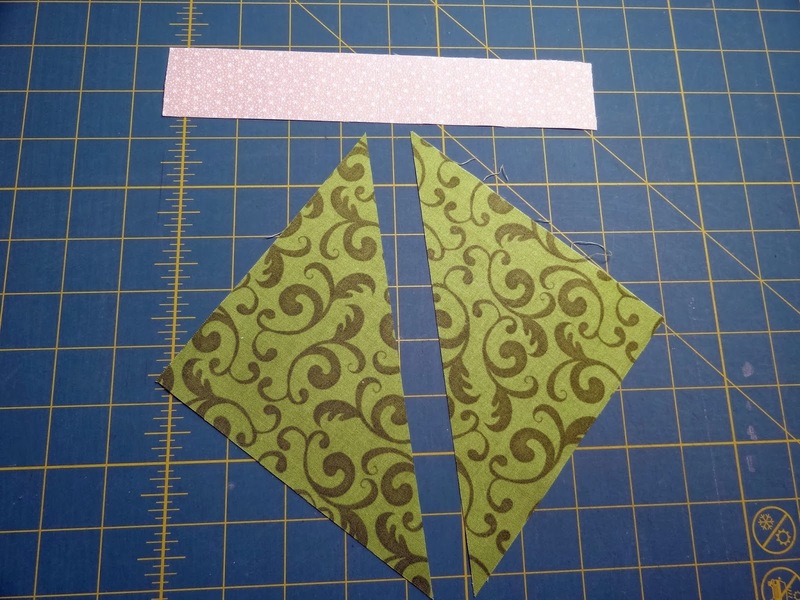 Whoops - forgot to tell you to cut the 6" square in half diagonally. Now you're ready to begin making your block. 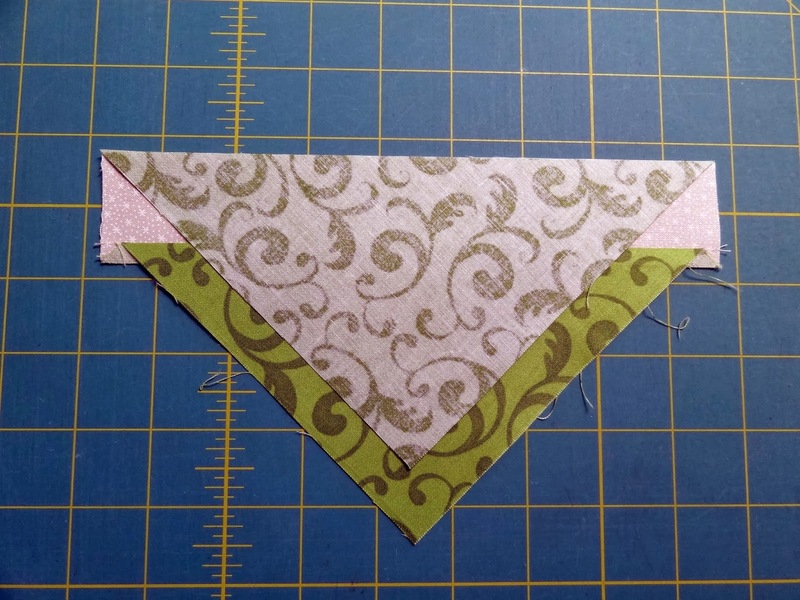 I like to grab a huge pile of scraps and cut as many as I can so I can chain sew these together. 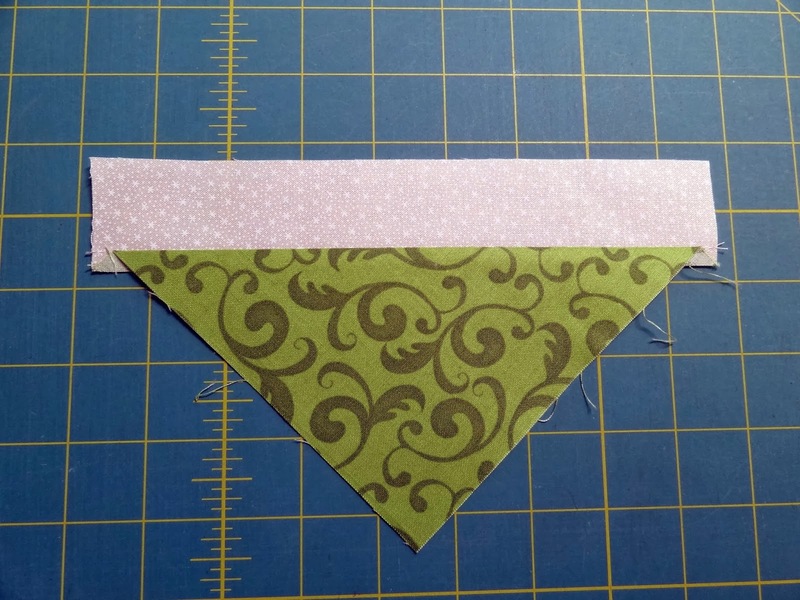 With right sides together sew one side of your strip to the diagonal cut side of one the triangles. 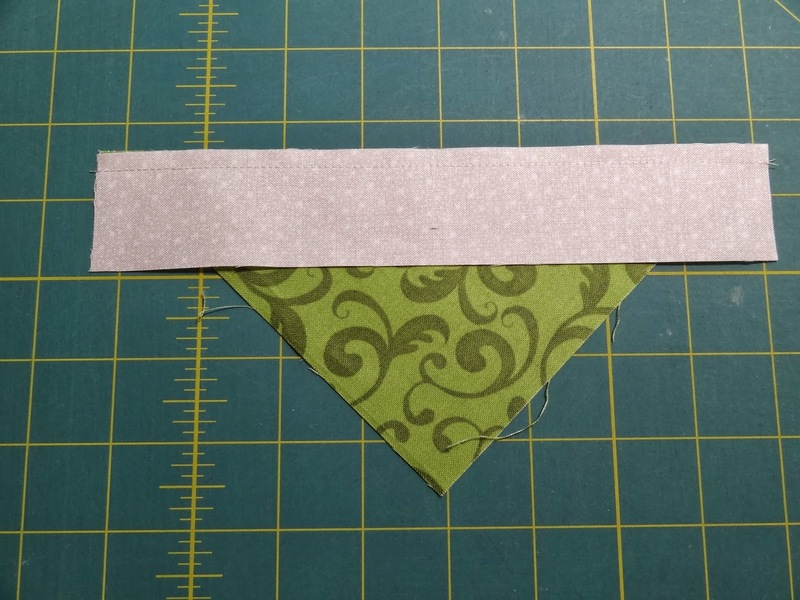 I don't use pins here as I try not to mess with that diagonal cut too much. If it helps you can finger press the center of each piece, but they should fit perfectly end to end without doing that. Repeat with the other triangle. Now you're ready for some trimming. Here's where it helps to finger press down the middle of the strip. 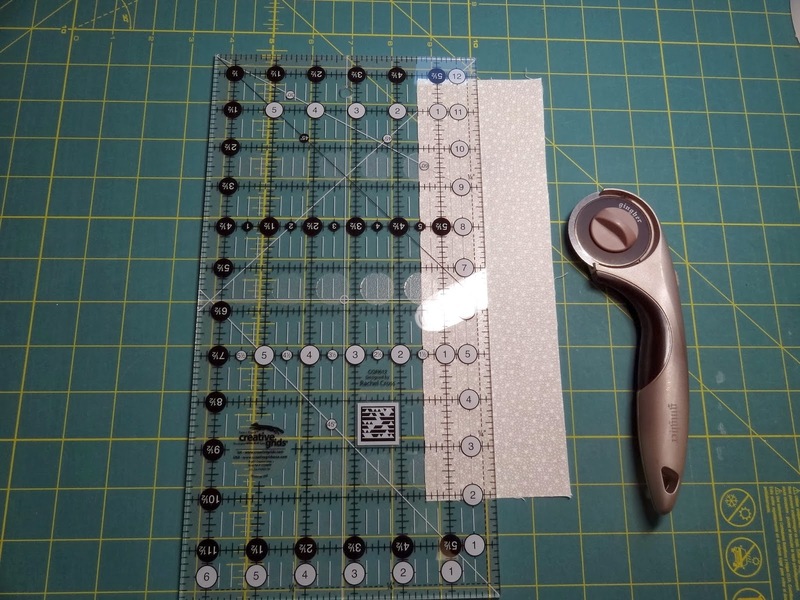 Line your ruler up with the diagonal line down the middle of the strip. 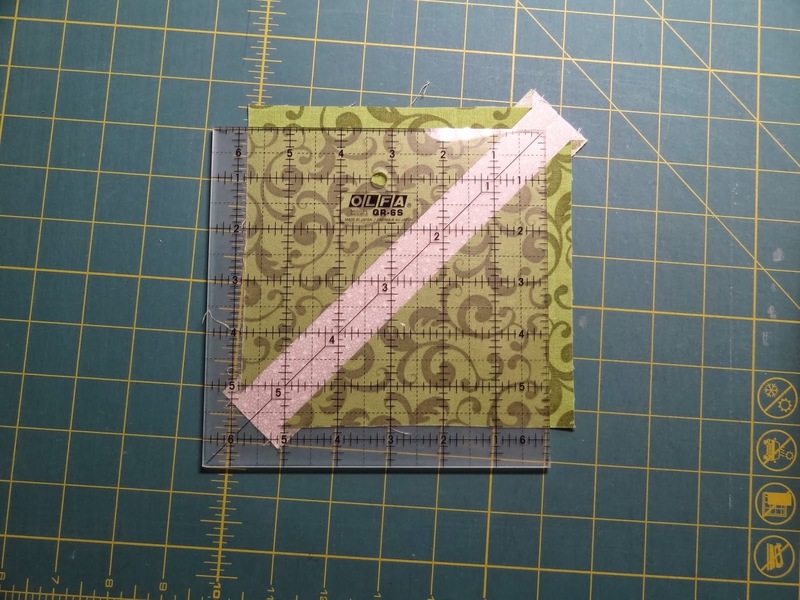 Rotate the block and align the outer edges with the 5" mark on the ruler and trim again. 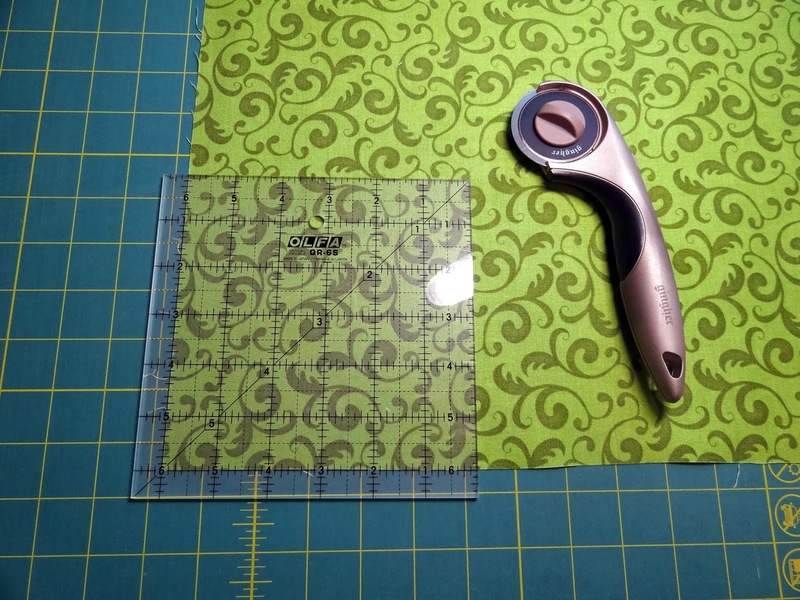 You may be thinking this is a lot of waste, but remember, you're using scraps to begin with! If you can't stand the waste, then adjust your pieces smaller so there is less. 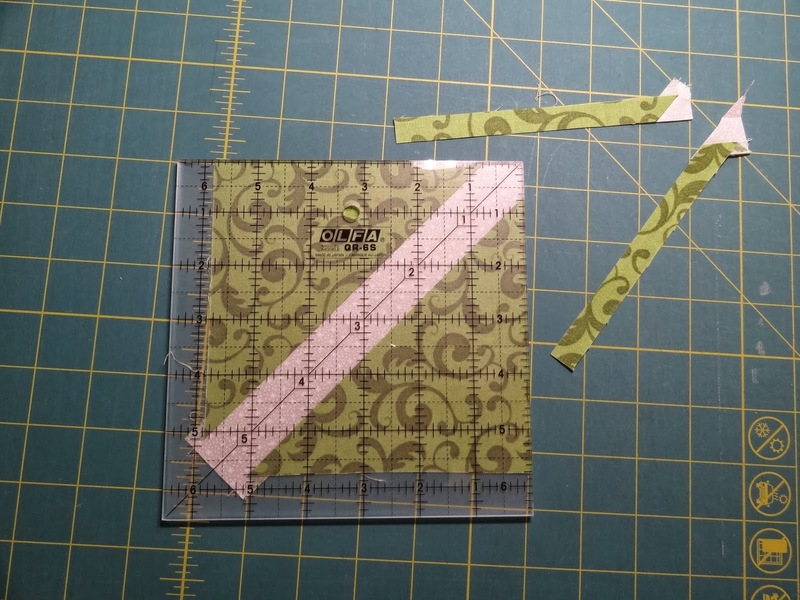 I find when I get in the zone of cutting these that I can easily make a mistake, so I'm glad for the extra waste! Now you have a perfect 5 inch block! With a little math you can enlarge these blocks or even make them smaller to suit your needs! 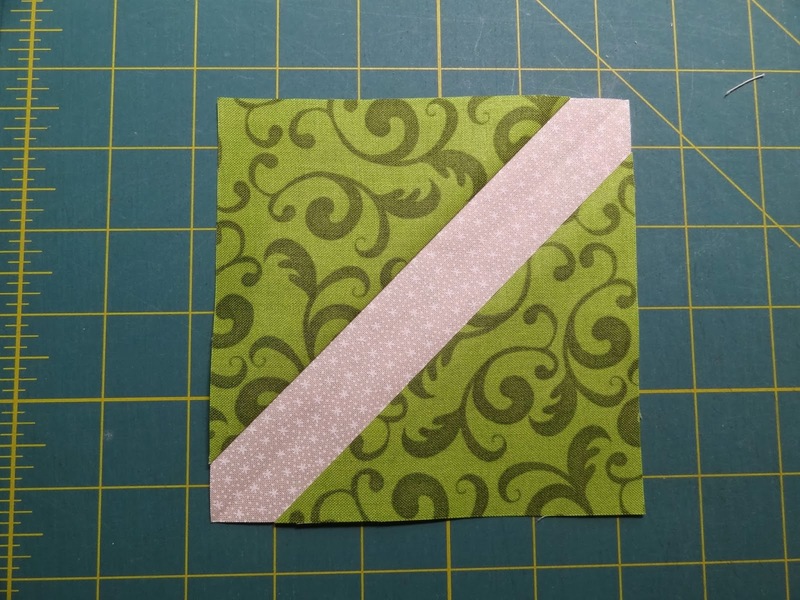 For a look at another great scrap block tutorial, be sure to visit to Stephanie at Loft Creations! 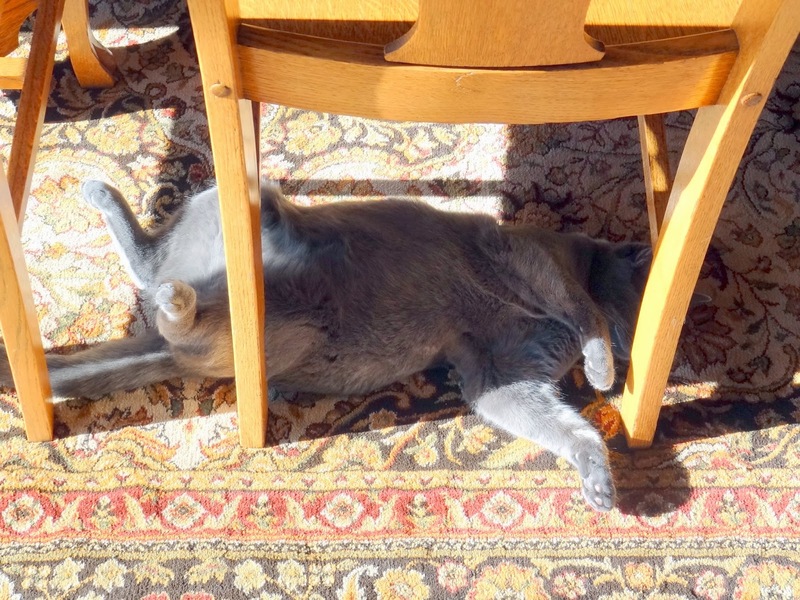 I took a break from cutting and sewing to find Gracie May in the dining room sunbathing her tummy! It was all I could do to keep from getting down there with her! A number of years ago, I made quilt blocks like this and it was from a Fons and Porter magazine pattern. I used reproduction fabrics for mine. Great tutorial Candace for a nice looking block. Wonderful way to use up all of the scraps we are hoarding! Was Mr. Squash under the table with Gracie May? I think I'm going to see if I can find some scraps for those blocks. Plenty of scraps, just whether they're big enough or not. Yep, Miss Gracie has the life. Great tutorial and Gracie is just adorable ! Thank you, thank you, thank you! Our Susie and Socks say way to go Miss Gracie! Did I say thank you!!!! That makes a really pretty and versatile block. Perfect! 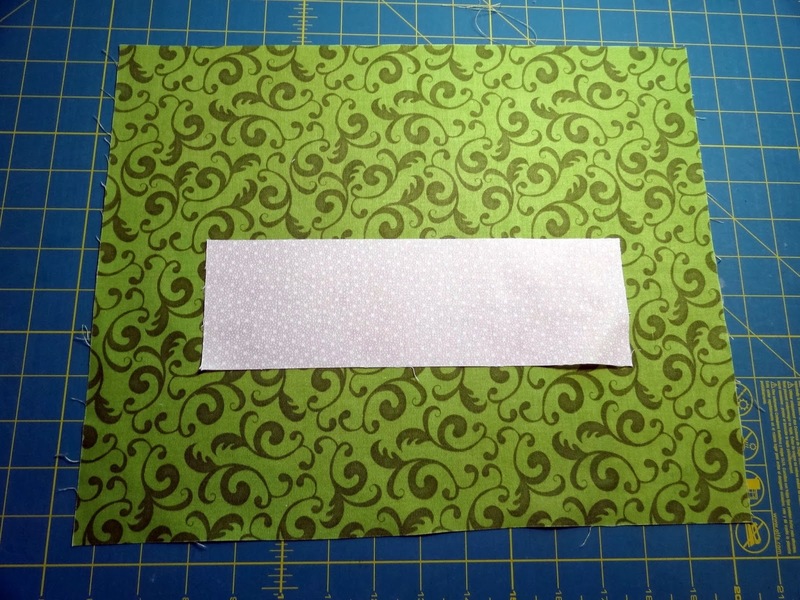 I have lots and lots of scraps so making these blocks is a great idea. Frankie would love some of that sunshine. We've had rain here for the last 4-5 days...but it sure beats snow! Great tutorial Candace! 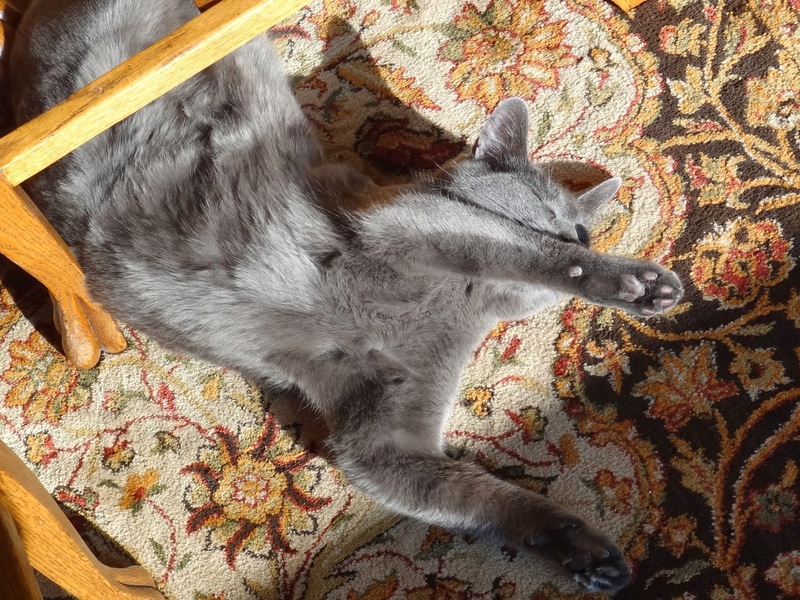 Oh that little Gracie May has a wonderful life...who doesn't like a little sun on their belly? That's a great idea. Gosh, though, you need more scraps. Maybe we should send you some....he-he. Looks like you are going to be buy with your scraps for a while. Thanks for the tutorial. 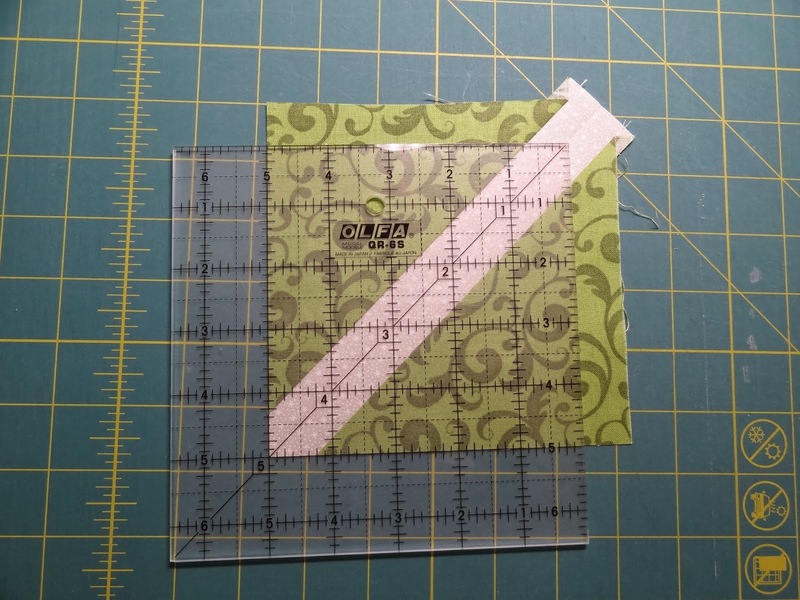 I tried using up some of my tiny scraps in a crazy patchwork in a journal for the New Year. It's such a good idea to use up the bits we've been hoarding. What a cutie! Squeak is like that in sunlight patches and has the same blue colouring. Sweet.